For almost two decades, the brief and comparatively not very intense violent conflict between Transnistria and Moldova has been ‘frozen’: the lack of violence has been matched by the lack of tangible progress towards a final, sustainable settlement. At times, there has been a flurry of activity, on at least one occasion the parties came tantalizingly close to reach status agreement, but for the most part talks between the sides, mediated by Russia, Ukraine and the OSCE, and with the EU and US as observers, have produced very little. To be sure, there are about a half-dozen relatively concrete proposals which reflect a basic consensus on the parameters of a settlement (including most importantly special territorial status for Transnistria, power sharing, and international guarantees). There are also between 140 and 170 different bilateral agreements between the sides, but no-one knows exactly how many, what their legal status is, and which have been made obsolete by later agreements and/or by developments on the ground. What they all have in common, sadly, is that almost none of them has ever been implemented. The question is, why? It is always tempting in such situations to allocate blame to the sides and/or the third parties involved. Often, Russia is singled out for its alleged obstruction, and while certainly no solution can be found without Russia, Russia cannot single-handedly deliver a solution either. The European Union is a relative late-comer in the process, it runs programmes to make Moldova more attractive for Transnistrians and help the country on its path to closer EU integration, but lacks, at this stage at least, a real strategy for what to do with the conflict. Transnistrians, in public, insist on their right to self-determination and thus independence. But most importantly, one has to recognise that the status quo over the past 19 years has been stable, tolerable for many, and profitable for some—not only in Moldova and Transnistria, but also in Ukraine and Russia, and among the many serious crises the EU has had to deal with since it became a more aspirational international security player, Moldova was hardly a major threat. In other words, there has been little desire on the ground to change things and no pressure from the outside to do so. Is this a problem? It would not have been had there not all of a sudden been a push on the international level to make the Transnistria conflict a test case for EU-Russia security cooperation, the first collaborative effort between the two in a newly to be created EU-Russia Political and Security Committee, institutionalising the process begun some five years ago with the Common Space for External Security as part of the EU-Russia dialogue. For many in Brussels and Moscow, and to some extent Washington, such a test case is needed to enable Russia and the West to address jointly the real and more serious security challenges they both face, including in Afghanistan, the Middle East and North Africa and which neither side can handle on its own. To press home this point, in quick succession over the past months, senior British, German, EU and US officials visited the Moldovan capital Chisinau, including EU High Representative Baroness Ashton and US Vice President Biden, all making a point about the need and importance of resolving the Transnistria conflict. Yet, this external push is not the problem in itself, it is the lack of preparedness of the conflict parties and the publics on both sides to deal with it. There is little by way of a real understanding, let alone strategy, to manage not only the negotiation of a sustainable settlement but the rather difficult reintegration process that will inevitably follow after two decades of separation. The challenge for Moldova and Transnistria is now to make the best of this situation. They will need to rely on international support in coming to the right settlement, one that can be sustained over time and makes things better for both sides. The challenge for the international community is to proceed with care in managing the complex dynamics of this process locally, regionally, and internationally. Meaningful security cooperation between Russia and the EU (and by extension NATO) cannot be achieved or sustained at the price of a solution for the Transnistria conflict that will do more harm than good. In this sense, meaningful European and transatlantic security cooperation is not just about improved cooperation, it is also about improved security. Eric Grynaviski and Harris Mylonas: A Declaration of Dependence? In 2008, Kosovo declared its independence; on July 22nd, the International Court of justice ruled that its declaration was legal. In many parts of the West, especially in Washington, this news was greeted with applause. Reading the Kosovo Declaration of Independence, however, one is amazed at the ability of politicians and pundits to compare it to the American Declaration. Joe Biden even goes so far as to compare the Kosovo Prime Minister to George Washington. In many ways, the situation of the colonies is analogous to the one in Kosovo. The colonies were stuck between the influence of France and Britain, just as Kosovo is caught between Russia—Serbia’s protector—and the United States. And, the colonies were aware that dissolving their ties to Britain risked igniting separations throughout the world, just as the Kosovo declaration might be a precedent for such declarations elsewhere. Yet, the way in which America declared independence is drastically different from Kosovo. The Kosovo declaration is short, addresses specific United Nations plans for the composition of government, and thanks NATO for its past help. What’s notable is what’s missing: unlike the American Declaration of Independence, it does not justify its secession. 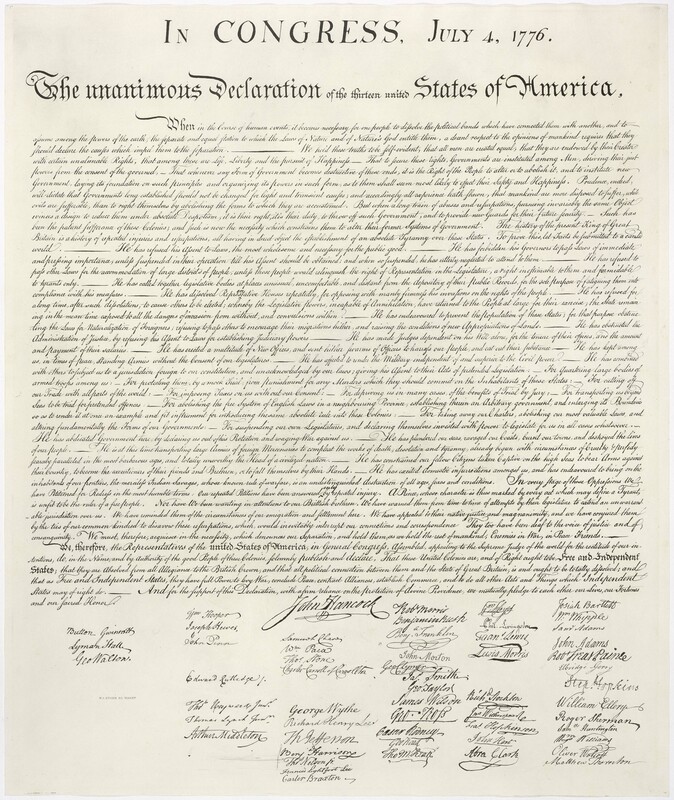 The signers of the American declaration, aware of the danger that secession would cause, explained that“Governments long established should not be changed for light and transient causes.” But, given the specific abuses of the King, it is the colonies’ “right, it is their duty, to throw off such Government, and to provide new Guards for their future security.” Instead of justifying secession through an appeal to right, the Kosovo declaration narrowly and legalistically justifies its special status. When the American declaration lists twenty-six specific and irrefutable grievances with England; the Kosovo declaration provides no grievance whatsoever. The American declaration is couched in a sophisticated moral and political theory in order to show that any individual can endorse its conclusions; the Kosovo declaration is couched in narrow legalisms designed to provide political cover for the western powers that recognize it. These are no minor differences. Jefferson thought it right that a declaration of independence makes claims on the conscience of the world, outlining the case for independence, enshrining it in a single compelling statement: “a decent respect to the opinions of mankind requires that they should declare the causes which impel them to the separation.” The Kosovo declaration skirts debate, does not make a case for powers to recognize or support it, and represents an international system in which power, not conscience, rules. The American declaration sparked a global debate over the rights of peoples; the Kosovo declaration is sparking a trivial debate over the right interpretation of a UN Security Council Resolution. In light of the NATO involvement in the Balkans during the late 1990s, the U.S. support for Kosovo’s independence is not surprising. Historically, the U.S. has traditionally backed self-determination movements and independence through de facto recognition. The U.S. supported the French declaration of Independence in 1793, the Greek in the early 19th century—and many more—under the Monroe Doctrine. But this principled position of the U.S. did not last. In the last century, the U.S. has refused to recognize de facto states in Central and Latin America in order to discourage potential rebels and delegitimize Communist regimes. For different reasons, the U.S. did not recognize conquests made by the Fascist Italy and Germany as well as by Stalin before and during WWII. Today, the U.S. refuses to recognize South Ossetia and Abkhazia but intensely supports Kosovo’s independence. In other words, over time principled foreign policy soon enough gave way to Realpolitik and pragmatism. In 1953, President Eisenhower declared that “Any nation’s right to a form of government and an economic system of its choosing is inalienable. Any nation’s attempt to dictate to other nations their form of government is indefensible.” Unfortunately, today’s rhetoric does not match reality. Russia and the United States accuse each other of manufacturing independence movements and then guaranteeing their security until de facto independence is secured. Russia accuses of the U.S. of doing this in Kosovo and the U.S. returns the “favor” in the cases of South Ossetia and Abkhazia. Our point is not that Albanians in Kosovo have no case to make; but that they have not made their case. The misplaced and even dangerous triumphalism with which western media greeted the ICJ ruling sends the wrong message to aspiring secessionists. The Kosovo declaration addresses narrow international rules and wide channels of power; it does not address the universal conscience of the world. No one can endorse the document because there is nothing to endorse: no cause, no claim, and no challenge to the Serbian government. 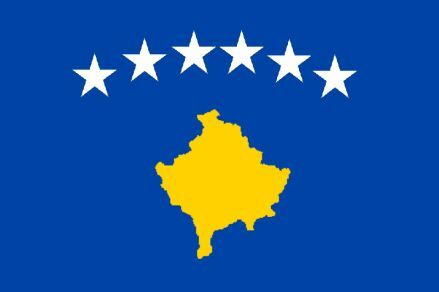 If the American declaration of independence was the beginning of the growth of an international community that supports self-determination and democratization, the Kosovo declaration represents the failure of the international community to move beyond power politics, disguising Realpolitik with international law. Is this the international system we aspire to? Eric Grynaviski and Harris Mylonas are Assistant Professors of Political Science at the George Washington University. This article first appeared on the blog of the The Utopian on November 30, 2010.